Founded by Bob Gold in 1997, Bob Gold and Associates provide tailored, integrated public relations, marketing and social media campaigns and have served organizations from start-ups to Fortune 500 companies. Based in Brussels, Key Communications delivers impactful campaigns that deliver tangible results, taking pride in its listen, analyse, develop, generate and perform approach that it applies to each campaign. Based in Dubai’s Media City, Active Digital Marketing Communications is an integrated marketing and communications agency, ensuring that campaigns deliver on business objectives. Active have experience working with high-profile, multinational companies such as Xerox and J.P Morgan. Paris-based Comcorp works with leading international brands and agencies to deliver impactful results - enhancing the relationships between clients and key stakeholders through clear communication channels. With head offices in Madrid and regional offices in South America, FJ Communications offers communications, marketing and PR services with a focus on delivering return on investment and a customised service. We are Priority – an Asian regional integrated marketing and communications consulting firm. Headquartered in Singapore, we have offices in Malaysia, Indonesia, Philippines, Thailand, Vietnam, Hong Kong and India. With more than 30 years of operating successfully in this culturally diverse and energetic region, we combine global best practices with proven tactics that deliver bottom-line results to our clients. Priority Consultants is an Associate Member of the WIN PR Group. Munich-based Fortis PR provide strategically-aligned PR campaigns through content creation and effective communication to deliver tangible results for clients. Finzel PR was founded in Madrid in 2003 by Piers Finzel in response to the demand for an on-the-ground agency in Spain and Portugal to support wider international campaigns. Finzel prides itself on its no-nonsense approach to PR and the ‘personal touch’ that it provides its clients. Lange PR was founded by Jacob Lange and has been operating in Denmark for 18 years. With offices across the Nordic region, Lange offers a no-nonsense approach to PR, offering dedicated and personalised service to clients with a focus on thought leadership and increasing market share. 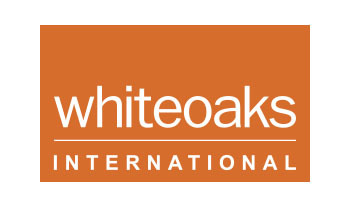 Whiteoaks International is an award-winning PR, content creation, digital and social media agency for B2B technology brands in the fintech, retail, security, enterprise IT, fast-growth, built environment and broadcast sectors. Operating out of the East Coast of the USA with offices in Boston, New York and San Francisco, Version 2.0 go beyond traditional PR by providing a combination of creative content, media relations and digital strategy to deliver impactful campaigns in line with client goals. 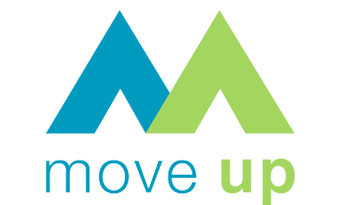 We're the Move up agency. We help companies to grow. We will take care of the complex communication strategy of our clients. We create long-term strategies and short-term projects with high efficiency. We produce creative multimedia content: common texts, special articles, corporate magazines, professional videos. We operate primarily in the Czech Republic and Slovakia, but also in other countries of the region. 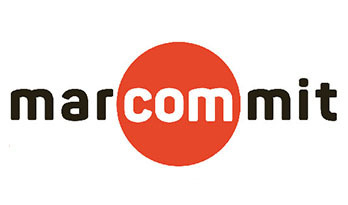 Marcommit is the B2B communication specialist for the Benelux region. The agency sees engagement as the key element that ensures business success. Whether you want to build a brand, claim thought leadership or generate leads, the team is up to the task. Marcommit has profound experience in working for HR and technology brands, such as Gemalto, SAP Hybris, Ultimaker and OutSystems. Omega Communication is based in Warsaw, Poland, developing and executing complex communication campaigns which include social media management and event support to engage with target audiences. Mutual PR are specialists in media relations with offices in Germany, India, Singapore and the UAE, offering tailored solutions to each of its clients. Whilst specialising in travel and tourism, Mutual PR have in-depth knowledge and experience in the IT, telecoms and technology sectors.